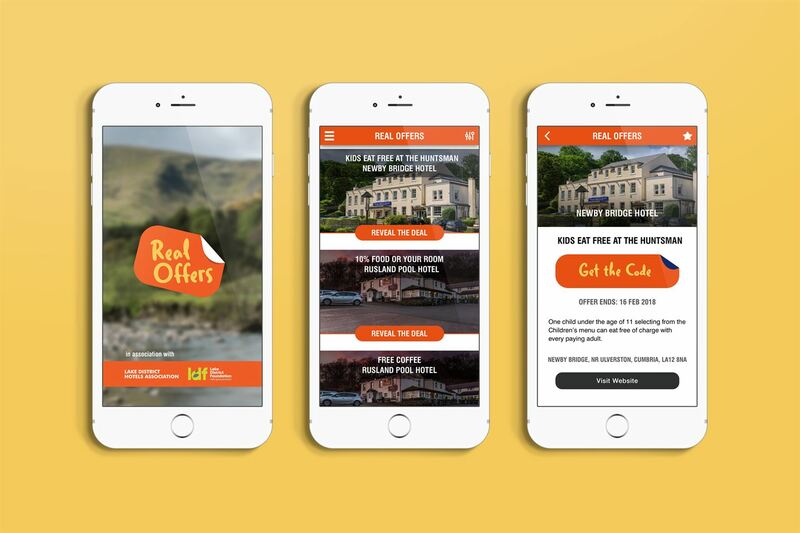 As part of this years LDHA (Lake District Hoteliers Association) Winter Marketing Campaign our Marketing team and technical geniuses over in the Web department joined forces to create the all new, one of a kind, ‘Real Lake District’ App. The App has been a huge success within our LDHA marketing campaign having earned over 1000 downloads within the first few weeks of launch, moving more traffic to members websites, offers and increasing ROI. tThe app is the first of its kind in the area and completely free to download. It’s charm is that it is completely bespoke to the Lake District – it's been created, designed and developed by the people who know the area best. It’s a modern, convenient and fun way to quickly and easily reach the best discounts and offers directly from real hoteliers and attraction owners, rather than using corporate alternatives. It’s a great development for both visitors and locals and we look forward to the next one thousand downloads! The app initially tests to see if the user has the ability to access the internet, if it will request new data from the server, as this data is very small, it is quickly delivered without using lots of the users data. Are you looking to reach your potential customers quickly and easily, seeing instant ROI? Pop in for a chat and a brew with our team, we’re always ready to talk all things App!